The Radio Research Station was sited at Ditton in 1920 because the Research Board’s first chairman was Sir Henry Jackson, Admiral of the Fleet, and the Admiralty Compass Observatory was already established at Ditton Park. However, the Research Station was always a civilian organisation and run by the government. The chief contact between the two research bodies on the site was that the Ditton House mess provided lunch for the radio researchers; according to Henry the meals were not improved by their journey across the park! During the 1920s Edward Appleton and Robert Watson-Watt led research into the Earth’s upper atmosphere, proving the existence of radio-wave reflecting layers at a height of about 100 kilometres. These layers were first referred to as the ‘ionosphere’ in letters written by Appleton and Watson-Watt in 1926. At first they used a transmitter in Windsor Great Park to send radio waves to Ditton which were reflected via the ionosphere. This was the beginning of a scientifically very important series of ionospheric frequency measurements which are still continuing today on a world-wide basis. Understanding of these phenomena also improved radio direction-finding, navigation aids and locating of thunderstorms. Robert Watson-Watt is particularly remembered for the wartime development of radar. In 1935 he had been approached by the Air Ministry which was hoping some sort of death-ray might be invented to disable pilots in enemy planes, a clearly impractical idea. However, Watson-Watt replied that ‘attention is being turned to the still difficult but less unpromising problem of radio detection’. His memorandum titled Detection and Location of Aircraft by Radio Methods has been described as one of the most prophetic scientific documents ever produced. 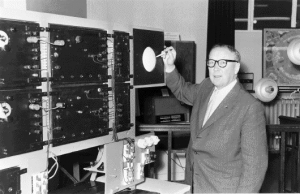 It suggested using reflected radio energy and proposed the use of rotating beams to show range and direction on a cathode-ray oscilloscope. The first experiment to demonstrate that his theory would work took place near Daventry in February 1935, when apparatus from Ditton transmitted a beam which ‘illuminated’ the presence of an aircraft passing through it. (The original apparatus used that day was rescued from a store hut in Ditton Park and presented to the Science Museum in 1958.) A strict security blanket was immediately imposed and several of the Ditton staff were moved to Bawdsey on the Suffolk coast where they formed the nucleus of what became the vast complex of Britain’s wartime radar system. This was of course a decisive factor in the eventual defeat of the Luftwaffe. During the International Geophysical Year of 1957 the RRS was one of the four World Data Centres for the collection and exchange of ionospheric information. Its world-wide collaboration in this field of research has continued since then. In the same year the first artificial satellite, Sputnik One, began to orbit the Earth and provided a new tool for investigating the upper atmosphere. From this time on, the Station’s work was largely bound up with space science and although the rockets themselves were not launched from Ditton Park, many of the scientific experiments they carried were developed and controlled from there. The Station gained international recognition for its expertise in data observation, prediction and calculation. In 1973 the Radio Research Station was renamed as Appleton Laboratory and the support of the growing British space programme became its major function. Investigations included the measurement of the Sun’s corona and the Norwegian Aurora or Northern Lights. 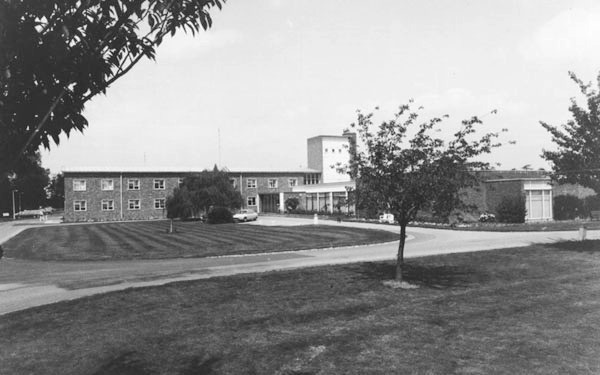 And then in 1978 it was decided that the Ditton facilities and many of its staff (by then a total of more than 300) should be merged with the much larger Rutherford Laboratory at Chilton, where technical resources were greater. This move was completed in 1981.